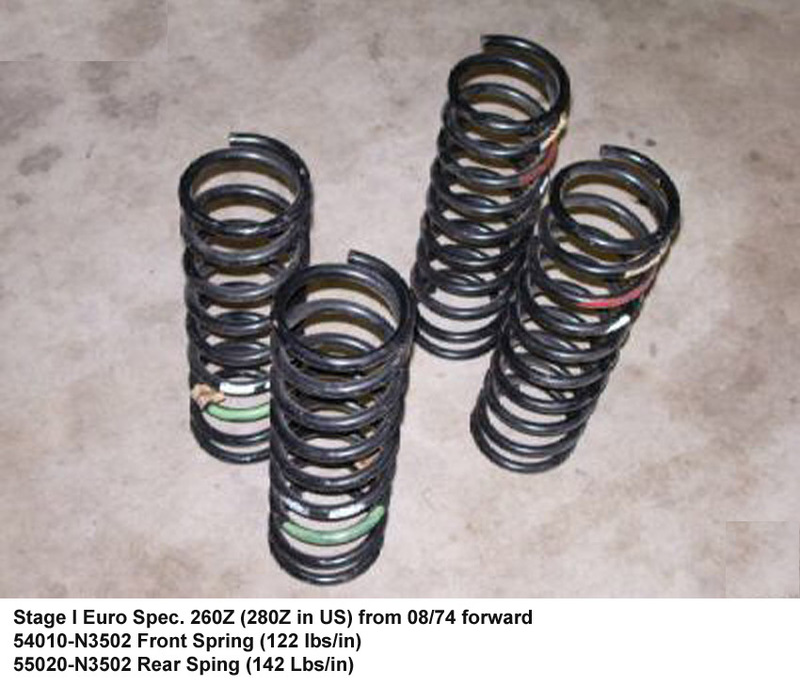 The purpose of this page is to document and identify the springs that Nissan's USA Competition Department sold as "Euro Spec. Springs"
According to Nissan USA Competition Catalog, the springs below will not lower the ride height of the US Spec. 240Z. 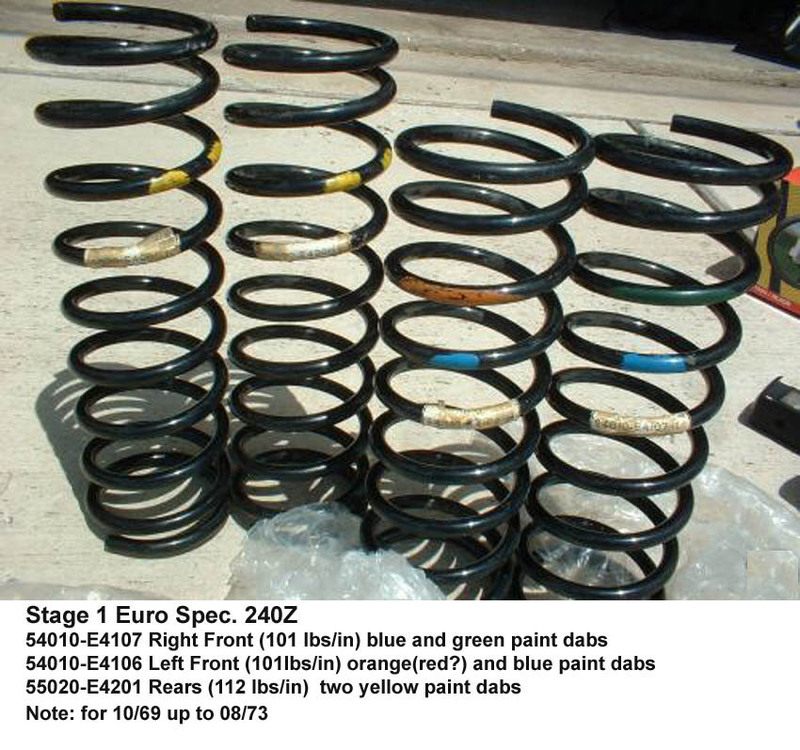 However according to my experience and the reports from others that have installed these springs; they will raise the ride height between .5 and .75". So 1 coil has to be taken off the front spring and 1.5 coils has to be taken off the rear springs to retain the stock ride height of the US Spec. 240-Z. We believe that the Euro Spec 240-Z's used a lower, lower-spring-perch attachment point on their struts. 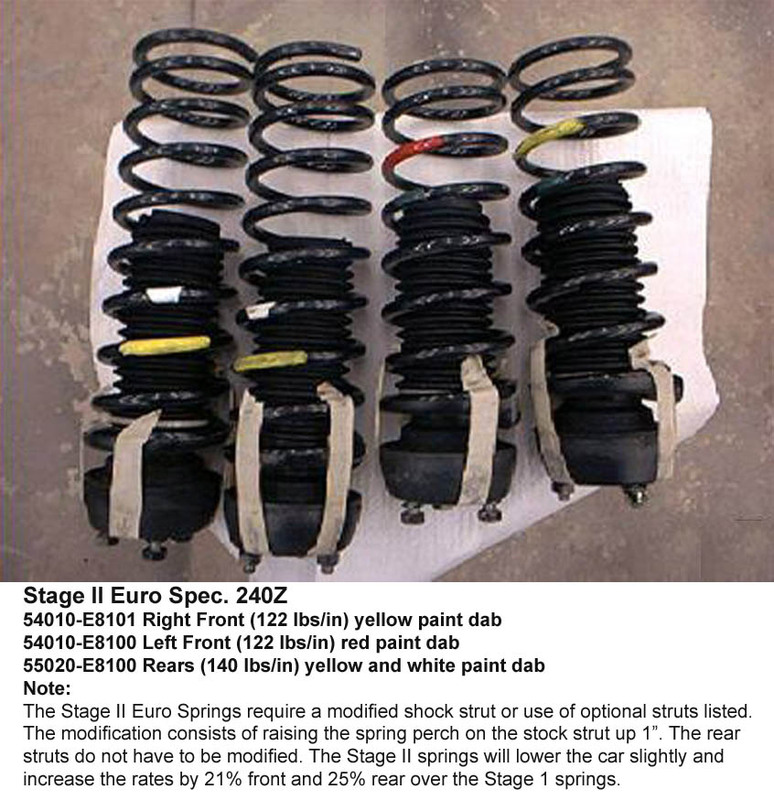 This is as yet unconfirmed, but it seems to be the only way Nissan could have used these springs on the Euro Spec. 240-Z's, and retained their OEM ground clearance (6.5" at the front frame rail). Also be aware that many of the new high pressure gas shocks, will raise the ride height of the Datsun 240-Z's, as the pressures used in these newer shocks will offload some weight from the springs. This has been reported to be from .5" to 1"!!. The Springs below are for the 260Z as sold in Europe, built 08/74 and later. The same body was used for the 280Z here in the US.